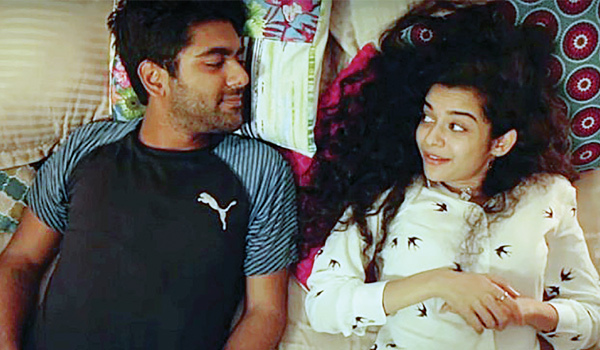 AFTER their sketches, Annoying Things Boyfriends Do and Confusing Things Girlfriends Do, popular web faces Mithila Palkar and Dhruv Sehgalai??i? ?s easy chemistry is back in Pocket Acesai??i?? new five-episode series, Little Things. With over a million views for their first two episodesai??i? ?the third was out two days agoai??i? ?the duo is taking the web space by storm. Talking about their renewed popularity, Palkar, the Mumbai-based actor and theatre artiste, says, ai?? ?We wanted to do something bigger, keeping the simplicity of the earlier videos intact. So we have a couple that lives together and the experiences they go through.ai??? Little Things stays true to the name, focussing on the small joys of being in love. ai???Weai??i? ?ve taken inspiration from Calvin and Hobbes. Itai??i? ?s basically about two friends in a relationship where they can be themselves without the fear of being judged, and how they are both on their own individual adventures and still have each othersai??i?? backs,ai??? says Sehgal, who has written the story. Having tested the waters with Facebook, the show is now making waves on YouTube and Twitter, with subscribers going up by 80,000 in a week and each episode being shared over 20,000 times. Commenting on the need for fresh content, Palkar adds, ai?? ?Television is becoming redundant and everyoneai??i? ?s looking for something different, realistic and relatable. ai??? However, Pocket Aces is expanding its reach to TV as well, with its first web series, Not Fit, a mockumentary made last year, premiering on NDTV Prime Time this week. ai?? ?With Netflix and Amazon making big plans for the web arena in India, the scene is about to get a lot bigger,ai??? concludes Sehgal.